Because I have such a great arsenal of designs and work done for the past two years of Stephanie's banners, I am still able to continue her current banners. So I am happy to at least be part of things, even a little bit. 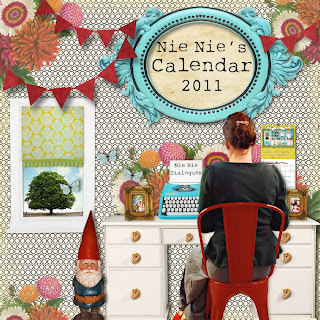 And there is always The Bee & Nie with some labels just in time for the holidays! Oh wow! It looks so similar to your headers I just assumed it was you! Sorry for the assumption! Hope youre feeling better every day Lyndsay! No worries! I worked with Megan in the beginning to help her with elements and style to get the right look for the calendar. I made sure she had references of all the banners in the past, and as many design elements that I could send along in order to recreate the style. She did a great job! I'm so glad you mentioned this. I know you designed her banner and was wondering what the heck happened! !